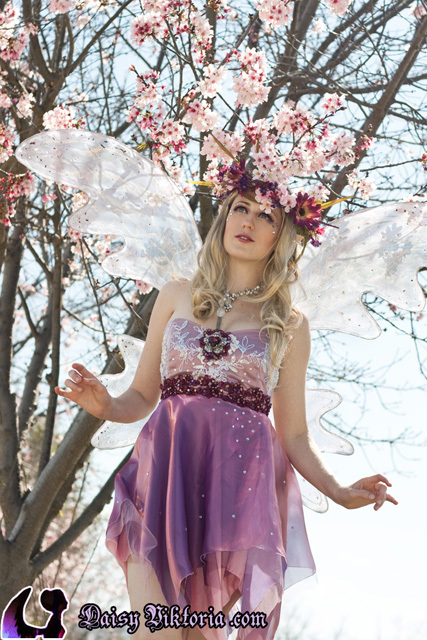 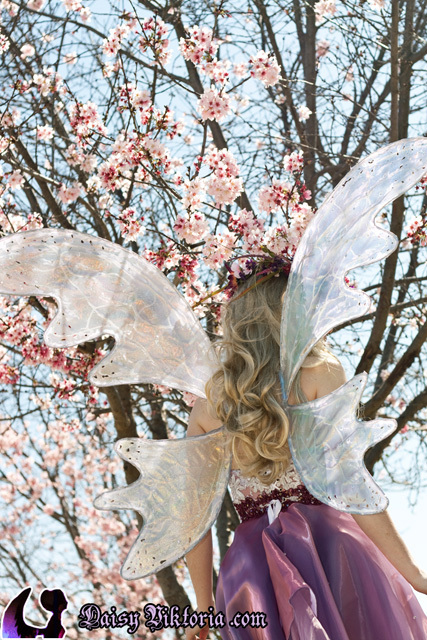 This faerie enjoys the lovely pink sakura blossoms of spring. 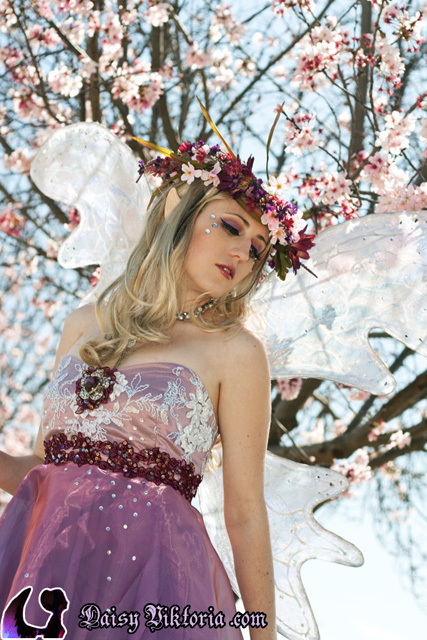 Her dress is part of my 2012 collection for Daisy Viktoria Fashion. 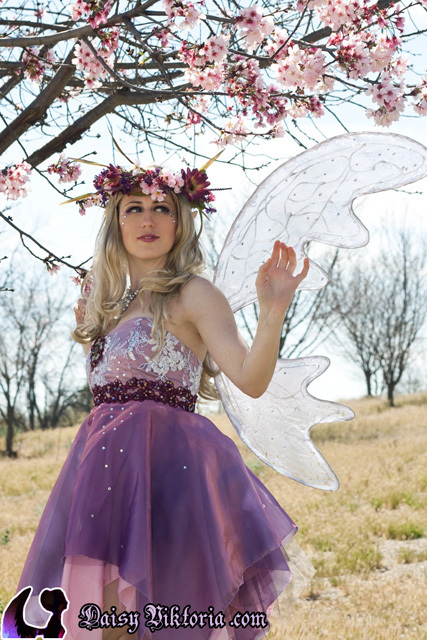 The wings are made of organza and coated in resin for a strong and durable finish.